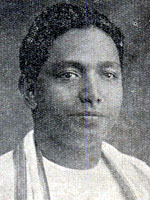 To the fertile, if restless, imagination of Mr. Kularatna, Ananda owes much. Nalanda was his special creation. Under his determined eye it grew within the course of a few years from a few ramshackle cadjan sheds into a massive and imposing structure. At first a mere extension of Ananda, it soon outgrew the stage of tutelage; and with that unerring instinct for the future so characteristic of him, he decided to make of it all independent institution. 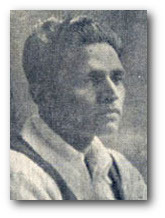 P. M. Jayatileke, Captain of Nalanda 1928 continue.1925 - 1928. 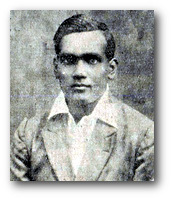 It was in March 1926 that Nalanda herself with less experience and more ambition of brushing shoulders with the big Colleges-headed against Ananda, a young side with little and less experience but full of keen enthusiasm and late talent. There was keen preparation for it on both sides, as it marked the inauguration of a new social event. I consider it a great privilege that I should have been asked to write a few words to the Souvenir of the Ananda-Nalanda annual Cricket Match. I have a very vivid recollection of the inauguration of this event and the hopes which inspired those who were responsible for its inception. It was to be an opportunity where the two sister institutions could meet together in healthy rivalry, to measure their strength against each other in the playing field, but it was also to provide an opportunity for the common friends and supporters and past and present students of both schools to assemble in a spirit of festivity and gay jollity. To the Buddhists of Ceylon there can be no school cricket match more interesting than the Ananda-Nalanda match. It has grown in importance every year and from what I have seen of the two teams, this year’s match will be one of the most exciting. My one regret is that distance may prevent me from being one of the spectators from the beginning to the end. I am in rather a happy position as I shall be able to congratulate myself whichever side wins. I am interested in Ananda having been its principal for fifteen years. But Nalanda is our offspring, and no ordinary child too. She started life as a comely maiden and never had infancy. In other words, we gave her nearly five hundred and fifty of our best children and got her registered as a secondary School . History should be revived by who lived it, and who still lives!" Who else can do such an act with precision? It is only individuals who has experienced the eventful era that can be accounted. In other terms, they are living proofs of a long saga. Thus, it couldn’t have been anyone else than the oldest living cricket captain of the Ananda College History, who could restore the aroma of the glorious 80 years of Cherished past. This is the story of a living testament. 1972 - when Warnapura setup a new batting record. Golden memories and Silver chimes.